Trump Jr. reveals link with WikiLeaks – Royal Times of Nigeria. 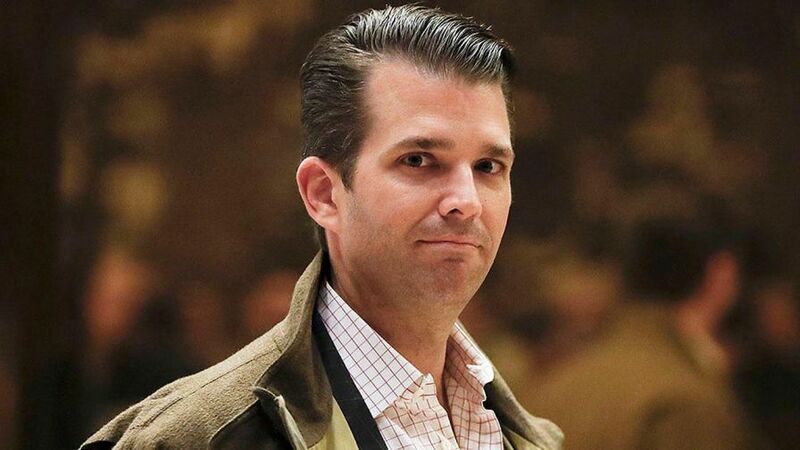 President Trump’s eldest son, Donald Trump Jr., has confirmed he communicated with WikiLeaks before the 2016 U.S. presidential election. Trump Jr., in a series of tweet on Monday night gave an insight into his dialogue with the organisation. Here is the entire chain of messages with @wikileaks (with my whopping 3 responses) which one of the congressional committees has chosen to selectively leak. How ironic! The Atlantic first reported on Monday that Trump Jr. received a private message from the WikiLeaks Twitter account on September 20, 2016 — a message shown in the tweets produced by the president’s son. In a separate October 2016 exchange, WikiLeaks urged Trump Jr. to “comment on/push this story” about then-Democratic presidential nominee Hillary Clinton wanting to “just drone” Julian Assange, the Wikileaks founder.